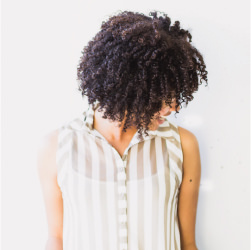 Chantelle Gibbs | Yellow Co.
Chantelle is a curly-headed native of Los Angeles, with a love for puns, musical theatre, and lightly sweetened kettle corn. She currently works as an adjunct college professor of Communication and teaches art history at various elementary schools in Orange County. She is learning, slowly but surely, how to practice the art of seeing others and the world with whimsy and wonder.